In retaliation for an episode of PBS series Frontline about WikiLeaks, entitled “WikiSecrets,” a group of hackers (no, not Anonymous) posted a fake story to PBS.org that claimed long-dead rapper Tupac Shakur is still alive and residing in New Zealand, reports Boing Boing. The hackers, a group who goes by the name LulzSec, claimed credit for the PBS website hack in a statement posted to Pastebin.com, which the group linked to on their Twitter page. 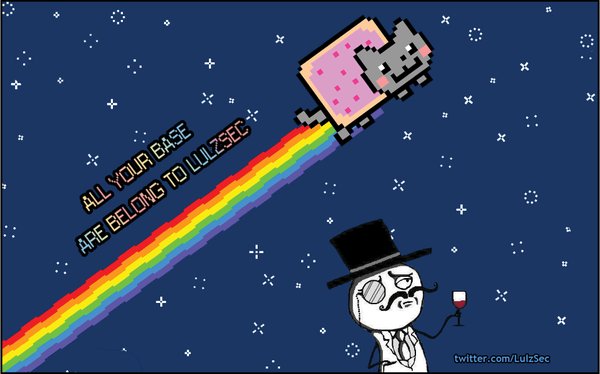 LulzSec also posted passwords for and usernames of PBS.org IT administrators and users, as well login information for PBS television stations. The Frontline episode took a decidedly critical stance on WikiLeaks and Bradley Manning, the Army Private suspected of leaking hundreds of thousands of classified documents to the organization. Its tone drew cries of outrage from a wide swath of WikiLeaks supporters who saw the episode, not as journalism, but as a hit job by the establishment that sought to delegitimize WikiLeaks and Manning. LulzSec has also taken credit for hacking Sony’s BMG Japan website, and has vowed to launch more attacks against the beleaguered technology giant.